Each post will try to answer a single question, with in-depth technical answers, tackled by the guys and girls who spend all their time sweating the details. Hopefully these will be relatively unbiased and free from marketing sway but this will just be the start of the discussion and we hope those interested will get involved, posing further questions and points of view. 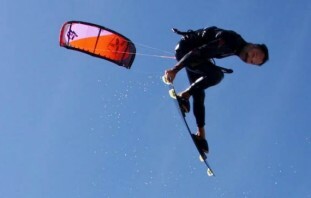 This week we have part 2 of our second guest post from Mark Shinn, former world champ and owner/designer of Shinn kiteboards. Whilst testing our new range of boards I took 3 riders, 3 identical twin-tips and fitted each board with different fins. One with no fins,one with 40mm fins and the last one with 55mm fins. The 3 riders rode together so the wind and water conditions were constant and then swapped boards numerous times. The outcome was in escapable, the fastest rider was fastest and pointing higher upwind on which ever of the 3 boards he rode. The slowest rider was closest in speed, and pointing, on the board with the largest fins and on the finless board was nowhere to be seen. This to me indicates that the fins are more of an “aid” to performance than an outright performance enhancer. Due to this, fin size really does relate to rider ability and style. Larger fins will give you a more solid feeling underfoot, the board is easier to edge riding upwind, has more grip for jumping and slips away less often. Smaller fins need more control over the rail of the board to have good edge grip however feel more “free and fast” through the water and have less tendency for the nose fins to catch and trip you when landing jumps and tricks. The shape of the fin is a little less clear to define, however, there are some guides you can apply when looking at different models. The longer the base of the fin the more grip and the better straight line performance you can expect, conversely the shorter the base of the fin the better turning and carving you can expect. The leading edge of the fin also has a role to play in the feel of the board, a straighter entry seems to provide better grip and edge ability whilst a more curved leading edge aids carving and turning. For these reasons most freestyle boards are supplied with longer based but shorter height fins. 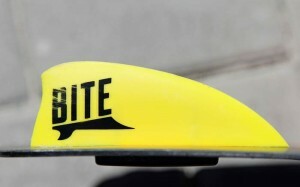 This gives the board a good deal of edge grip and yet the reduced height reduces the chance of tripping on hard landings. Conversely wave or freeride twin tips tend to have taller fins with a shorter base shape more similar to the fin found in a surfboard. The final aspect of fin size and shape to consider is the foil shape. In general the thicker the foil the slower the board will feel however the more solid the grip it provides feels, thinner foiled fins tend to have a faster more efficient feel through the water yet are more sensitive to rider input and loose grip much easier. In the past there have been various models of asymmetrically foiled fins on the market however in general these are now few and far between further enforcing my opinion surrounding hydro-dynamic values in TT fins. Whilst on paper an asymmetrical foil should offer more lift (hence more grip) in reality they rarely seem to work as advertised hence their gradual disappearance from the market. What overall conclusions can we draw? Manufactures will generally supply the correct fins for the style of board they produce. However with this information that Mark has provided in this, & his previous blog post, you should be able to tell what style of board you are looking at just by checking on the fin placement size and shape. 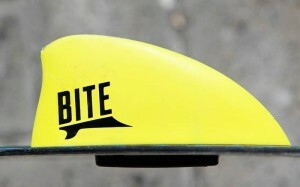 Then you can use this knowledge to adapt the board to your personal preference – if you’re lighter or heavier than the average rider or shorter or taller, maybe you kite in a place with particularly choppy water or big rolling waves – a change in fins may breathe life back into a board that you think is not really suited to you or your location. Have you ever had success in changing your boards fins? Let us know in the comments or over on Facebook. 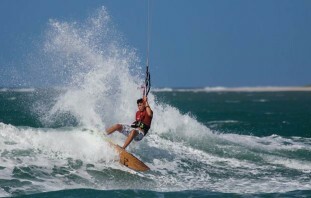 Once again, thanks Mark & Shinn Kiteboards for delving into this for us.